PALERMO, Sicily — Pope Francis appealed to Mafiosi to renounce their quests for power and money as he visited Sicily on Saturday to honor a priest slain by mob henchmen for trying to protect youths from the evil clutches of organized crime. “Thus I say to the Mafiosi: change, brothers and sisters. Quit thinking about yourselves and your money,” Francis said in his homily. The daylong trip by Francis to the Mediterranean island where the Cosa Nostra is rooted marked the 25th anniversary of the assassination of the Rev. Giuseppe “Pino” Puglisi’s assassination. Puglisi was declared a martyr by the Vatican and beatified in 2013, the last formal step before possible sainthood. 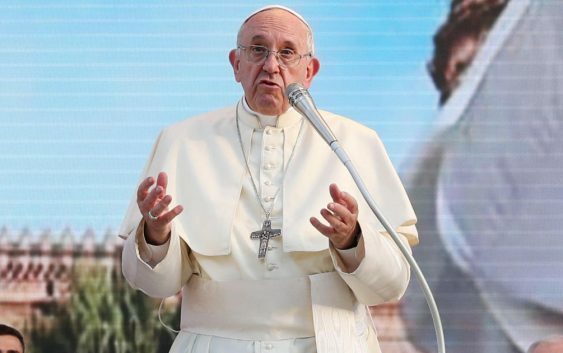 Francis paid tribute to the priest, who worked to keep unemployed youths in a poor neighborhood of Palermo from turning to local Mafia bosses for jobs like pushing drugs. The papal pilgrimage came in counterpoint to the latest revelations about priests and bishops who sexually abused children or connived to protect the abusers in various nations, disclosures battering the highest levels of the church and testing the faith of rank-and-file Catholics. Tens of thousands of people cheered Francis at an open air Mass held in the late morning at an esplanade along the port city’s waterfront. “Let’s renew the church,” read a large banner carried by young people in the crowd as Francis was driven by in his white popemobile. Pressure is building on Francis to say what he knew about the sexual misconduct of U.S. prelate Theodore McCarrick, who recently was stripped of his cardinal’s rank by the pope. “You know, a funeral shroud doesn’t have pockets. 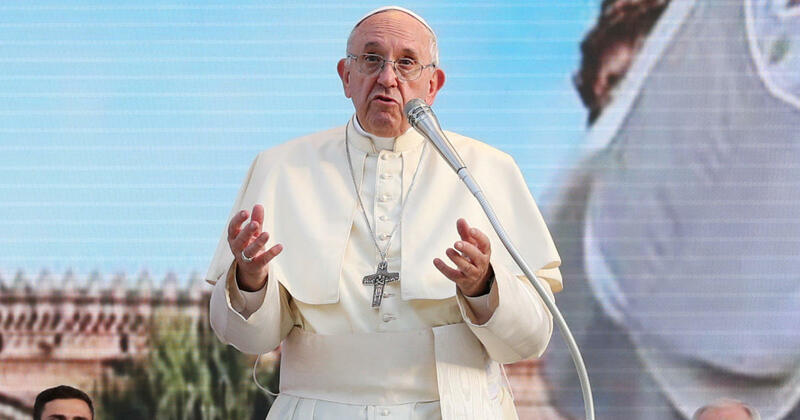 You can’t take it with you,” Francis said of organized crime’s ill-gained wealth from drug and arms trafficking, extortion and betting and prostitution rackets. “You give life to others, not take it away. You can’t believe in God and hate your brother, take away life with hatred,” Francis said in his homily. On his 56th birthday, Puglisi was fatally shot in the neck on the doorstep of his home by a gunman that courts later ruled was carrying out orders by Mafia bosses irritated by the priest’s efforts to encourage young people to turn their backs on the mob. The pope later visited the apartment building where Puglisi lived and laid a bouquet of roses on the sidewalk where a memorial marks the location of the priest’s slaying. Francis also prayed silently in front of Puglisi’s tomb in Palermo’s cathedral. Puglisi was gunned down a few months after Pope John Paul II, during a pilgrimage to Sicily, angrily demanded that mobsters convert their hearts or face the wrath of God at the end of their lives. At that time, the island was still shocked by the 1992 bombing assassinations, by Cosa Nostra, of Italy’s top anti-Mafia magistrates. The gunman later turned state’s evidence, testifying that Puglisi turned to him with a smile and said he was expecting to be killed. Francis’ denunciation of the Mafia prompted praise from Italy’s interior minister, Matteo Salvini, who in a tweet called the pope’s words “holy” and vowed to use more police and funds in the state’s war against Cosa Nostra. Coming from the populist minister, the compliment was unusual. Salvini’s anti-migrant policies clash with the pope’s frequent appeals for more, not less, solidarity with people in need.